Laliberte, Alfred L., 79, passed away at home Wednesday (2/15/2017). Born in Providence a son of the late Alfred and Doris (Mottram) Laliberte, Sr. he had lived in Cranston with his late wife Joan (Boucher) Laliberte. Mr. Laliberte was a bus driver for RIPTA for 30 years before retiring in 1996. He leaves 3 sons; David A. and his wife Jennifer, Laliberte of Coventry, Ronald J. McNally of Boston and John K. McNally of Cranston, a daughter Kathy A. Laffey of West Warwick, a brother James Laliberte of St Petersburg, FL, four sisters; Doris Bradley of Hope Valley, Louise Arsenault of Warwick, Charlotte Laliberte of St Petersburg, FL, Shirley Burns of Coventry, 5 Grandchildren and 1 great grandson. 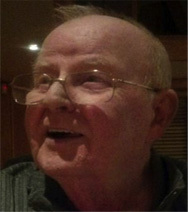 He was father of the late Sharon Rego and Colleen McNally. His life will be celebrated with calling hours 8:30am to 10:00am Tuesday in the Stapleton Family Funeral Home, 684 Park Avenue, Cranston followed by a service at 10:00am. Burial will be in Saint Ann Cemetery, Cranston. Go to cranstonfuneral.com for directions.